A "regular" Gmail signature just includes custom content like your name, specially formatted text, or maybe your phone number. Adding a photo to your signature, sets it apart from standard, ordinary signatures and is an easy way to make your emails stand out. If you use Gmail for business, this is a great opportunity to throw a custom logo into your signature or even a small picture of yourself. However, just remember not to overdo it and make your signature too wild or flashy. Gmail makes it easy to add a picture to your email signature. You can upload something from your computer, use an image from a URL, or use a photo you've already uploaded to your Google Drive account. You can also set up a Gmail signature just for your mobile device, but unlike the desktop version, a mobile Gmail signature can be text only. This is also true for Gmail's Inbox email service: a signature is supported but it does not allow images. Using an image in your Gmail signature is as easy as picking the photo and deciding where to put it. With Gmail open, navigate to the General Settings page of your Gmail account through the Settings button (the one with the gear icon) and then the Settings option. Scroll toward the bottom of the page until you find the Signature area. Make sure the radio button next to the custom signature area is selected and not the No signature one. If No Signature is selected, the signature won't apply to your messages. If you have Gmail set up to send mail from multiple email addresses, you'll see more than one email address here. Just select the one from the drop-down menu that you want to make the image signature for. Whether you're making a new signature from scratch or editing an existing one, make sure it's exactly how you want it (but that it isn't all over the place). After all, this is what recipients will see with each email you send out. From the menu in the signature editor, click the Insert Image button to open the Add an image window. Search or browse for your own pictures in the My Drive tab, or upload one from Upload or Web Address (URL). Click or tap Select to insert the image into the signature. If you need to resize the image because it's too small or large, select the picture once it's inserted to access the resize menu. From there you can make the image small, medium, large, or its original size. Scroll to the very bottom of the settings and click/tap the Save Changes button to apply the new signature. Return to these steps at any time if you want to remove the picture from the signature, edit the text, or disable the signature altogether. Note that if you disable the signature, you can still get it back should you want it again, but only if you don't actually delete the signature text or its images. If you prefer, you can make a Gmail signature with an image without using the steps above. This can be done while you're writing the email, which lets you make different signatures for different people. Type two hyphens (--) at the bottom of your message where your signature would normally go. Below that, type your signature information (it should look like an automatically appended signature). Copy the image you want to use in your signature. If your picture isn't already on the internet for you to copy, upload it to your Google Drive account or another website like Imgur, and then open it and copy it there. Paste the picture wherever you want it to go in the Gmail signature. You can paste photos with the Ctrl+V (Windows) or Command+V (macOS) keyboard shortcut. If the picture doesn't show up, the message might not be configured for rich text mode. Select the small arrow on the far bottom right-hand side of the message to double-check; the Plain text mode option should not be selected. 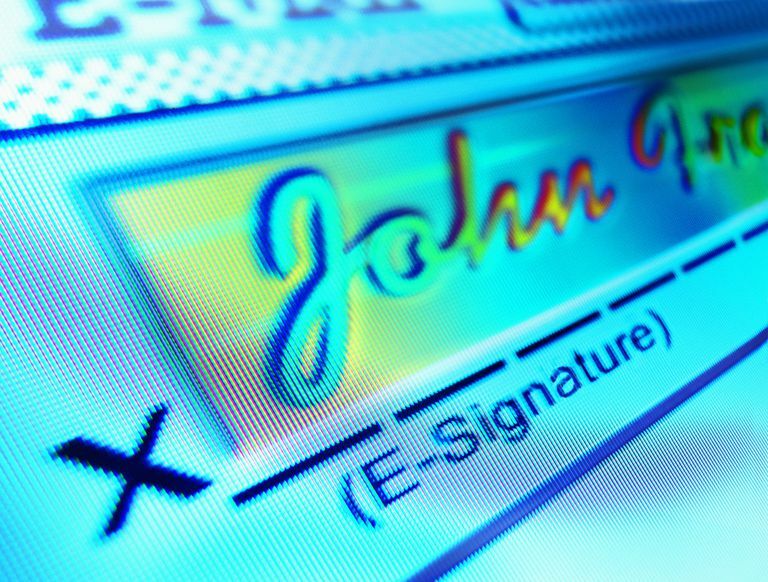 You should now have a complete photo signature.